All my questions were answered patiently and with (the right degree of) humor. I definitely feel that Dr. Lewis is listening to my concerns. Also, short wait time, and professional, helpful, and friendly office staff. Very professional and a great listener! Would definitely recommend him! The usual friendly professional atmosphere, certainly one of the best medical experiences one could hope for. My first visit was very favorable. I was taken on time, the doctor went over my entire history and listened to my concerns. Most importantly, I was treated with courtesy and compassion. All-in-all, it was a very good experience. A very, very positive experience. Dr. Lewis listened, answered a long string of questions, made clear the reasoning behind his judgments, and most impressively, told me that the procedure he helped to develop (camera endoscopy) and is best known for is optional in my case. His exploratory approach--not putting things prematurely into diagnostic boxes--works well in the world of IBD, where every case seems to be a little different. The office was very efficient. Dr. Lewis spent time getting medical history and was willing to answer questions. Every aspect of appointment was very professional. Pleasant surroundings. No undue waiting. Professional staff. Dr. Lewis respects patients concerns,is very attentive and knowledgeable. I would highly recommend him. I have been a patient of Dr. Lewis for years. He is a wonderful doctor and a very caring person. I would highly recommend him to anyone ! I traveled 1 1/2 hours each way to see Dr. Lewis who has been my gastroenterologist for approximately 20 years! 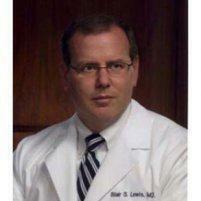 While I've chosen to find other doctors of different disciplines where I live now, I continue to want to see Dr. Lewis. The only reason why the practice didn't get a 5 star rating from me is because the front desk ladies are not very warm, welcoming and also don't smile! Excellent both in intake and consultation. 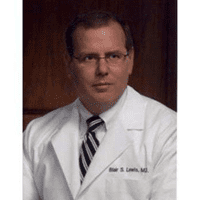 Dr. Lewis takes the time to listen and thoughtfully answer any questions and concerns you may have. I highly recommend him!